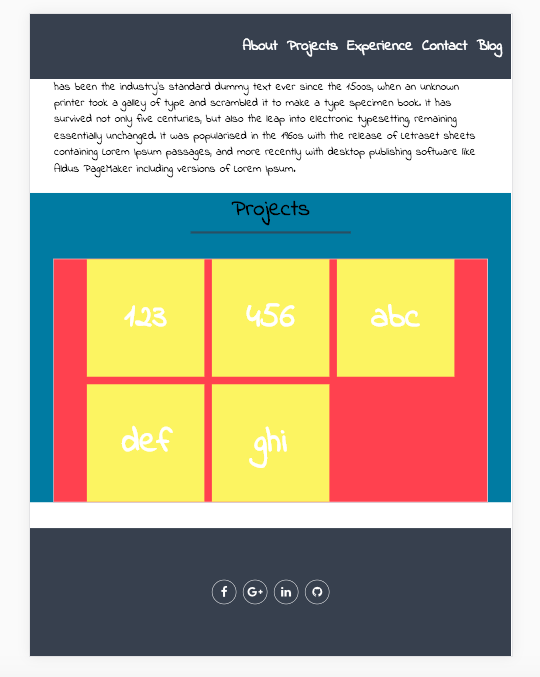 When I was trying to make a grid view on my webpage to display my previous projects, I ran into a problem with displaying the boxes the way I wanted them to be by using flex boxes. 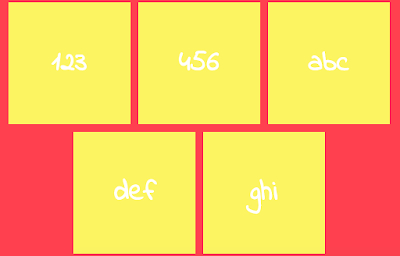 The last row of the grid can't align properly to the left when it has fewer items compared to the rows above. Targeting flex items on the last row - This thread lists down a lot of similar questions. 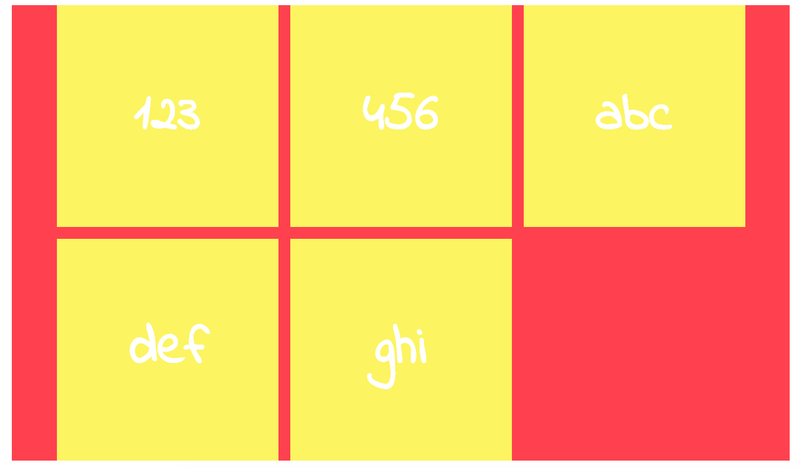 The solution is using CSS display grid. 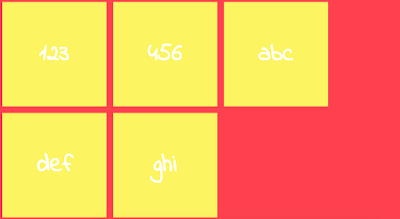 You can also play around with this grid example codepen which was posted on stackoverflow. The CSS that I have for the above screenshot. This is styled-component way of writing CSS. There is various ways of using display grid. One rather special way is using template area. You can set a template using character grid. The same character group represents one section on the grid. For example, the following template represents 3 rows. Then, you can use it like following and they will be arranged according to the template and specified dimension. 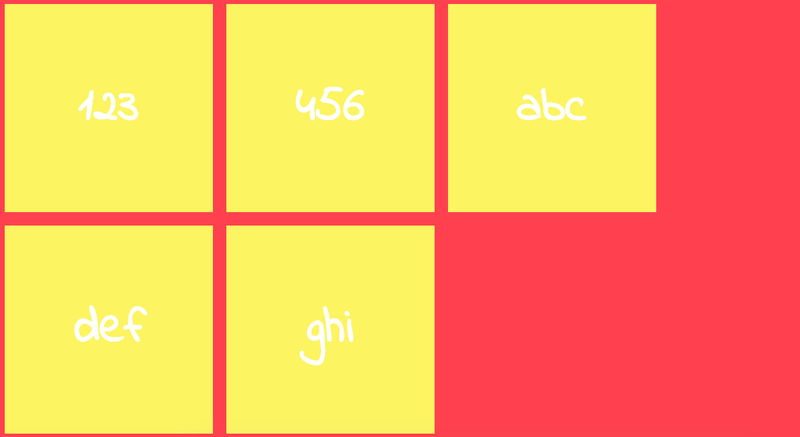 You can learn more about display grid via this Grid by example video available on MDN. You can also see more examples of how it can be used on MDN Grid template areas page.